The engine I've bought is an old British Ford Essex 3000cc V6 . A basic push-rod engine, it's heavily built cast iron because the block was originally designed to be both petrol and diesel. I thought that this block would be ideal to explore the idea I’d had that if an engine was built with the compression optimised to run on ethanol, it would be much more economical and powerful than any comparative petrol engine The engine was originally designed in Dagenham, Essex in the 50's. It's got a distributor and has a carburettor so a purely mechanical engine. It did 20 to 23 MPG and was optimized for 4 star petrol in imperial gallons. So it was my intention to re-build it to be much more thermodynamically efficient . So I had the crank machined and a re-bore done at Cornwall Engines to make the new parts fit together. The engine is quite large displacement for cars in the United Kingdom at three litres and it’s now 60 thou over-size, but it's far from cutting edge. I've replaced the pistons with those from a 200 cubic inch Ford straight six and six of the con-rods from a 351(W) Ford V8 and had the crank reground to 3.1 inch. I've had this engine assembled of Ford parts doing only machining to make them fit together. The head is completely flat as the engine was designed as a Heron type. 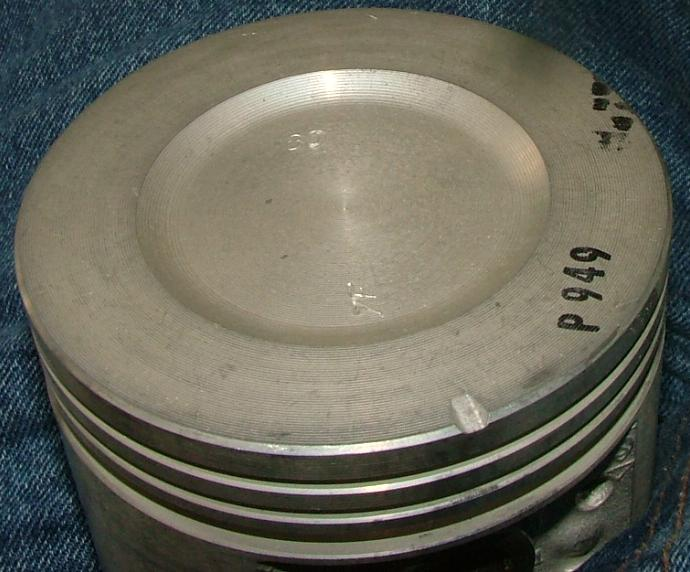 This piston shown is one of the pistons as they come for the Ford Essex a really big, deep cavity that makes up the chamber. The other is the piston fitted to the Ford 200 cubic inch I-6 much smaller depression. So if the volume of the chamber is much less then it stands to reason the compression will be more. It also had a different compression height less so I had to get longer connecting rods, then although the gudgeon(wrist)pin was a common size I had to get the big end ground. 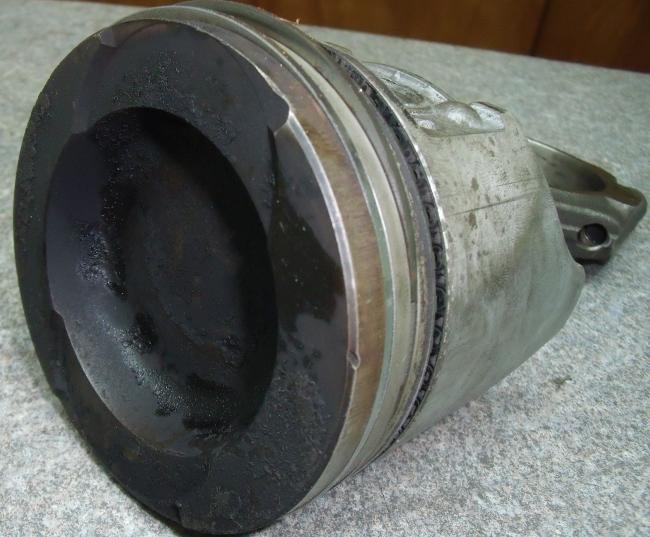 This work has had the effect of increasing the compression ratio(CR) this will have the effect of increasing the thermodynamic efficiency of the engine. I have done this to show that a dedicated ethanol engine can be as frugal and start as well as a Gasoline engine. This should have the effect of increasing the number of latitudes that people think pure ethanol can be used in and make ethanol a more financially viable alternative fuel.